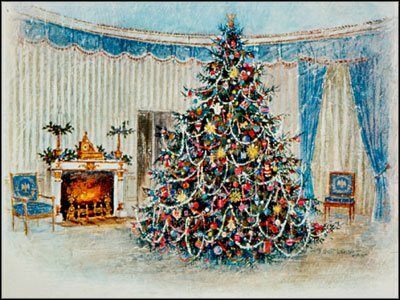 The very first Christmas Card was created by designer John Calcott Horsley. Horsley was a well-known, popular British painter, and he was also a member of the Royal Academy. He designed the card at the behest of Sir Henry Cole who wanted to mark the occasion by sending his friends a special card wishing them a happy Christmas. The card Sir Henry, intended Horsley to design was a depiction of a family performing works of charity, at Christmas time. However there was some consternation among the Puritans as the completed card also showed a family having a party. But the idea caught on and it is reported that year, that over 1,000 cards were printed and sold for one shilling each. Christmas Cards have gotten increasingly sophisticated and there is now an abundance of choice for consumers. 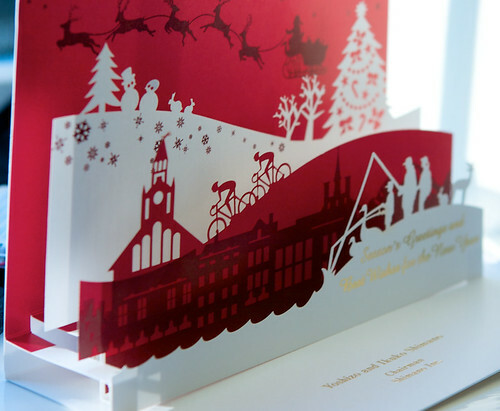 Pop-up cards now form a large part of Christmas Card sales especially as children love them. Christmas Cards became very popular and later designs evolved into very elaborate creations, with shapes such as plum puddings, bells and candles. People loved to receive the cards as they still do today. There is also a large market for musical Christmas cards. So now matter which type of card you prefer – the perfect one is awaiting you, ready to be discovered! For people living in Ireland or the United Kingdom, you can access Old-Fashioned Christmas Postcards: 24 Postcards and Merry Christmas from…:150 Christmas Cards You Wish You’d Received here. For those who live in Canada, you can obtain Old-Fashioned Christmas Postcards: 24 Postcards, Old-Fashioned Santa Claus Cards: 24 Cards and Merry Christmas from…:150 Christmas Cards You Wish You’d Received from here. For Germany: Old-Fashioned Christmas Postcards: 24 Postcards, Old-Fashioned Santa Claus Cards: 24 Cards and Merry Christmas from…:150 Christmas Cards You Wish You’d Received. For France: Old-Fashioned Christmas Postcards: 24 Postcards, Old-Fashioned Santa Claus Cards: 24 Cards and Merry Christmas from…:150 Christmas Cards You Wish You’d Received.